This DVD includes the full 2014 service and a 60-minute documentary detailing the history of this central component of the British Christmas tradition. Enjoyed in millions of homes each Christmas eve, 'Carols from King’s' is an enchanting hour and a half of choral worship, beginning with a lone chorister singing Gauntlett’s reverent 'Once in Royal David’s City' and concluding with the triumphant 'Hark! The Herald Angels Sing'. 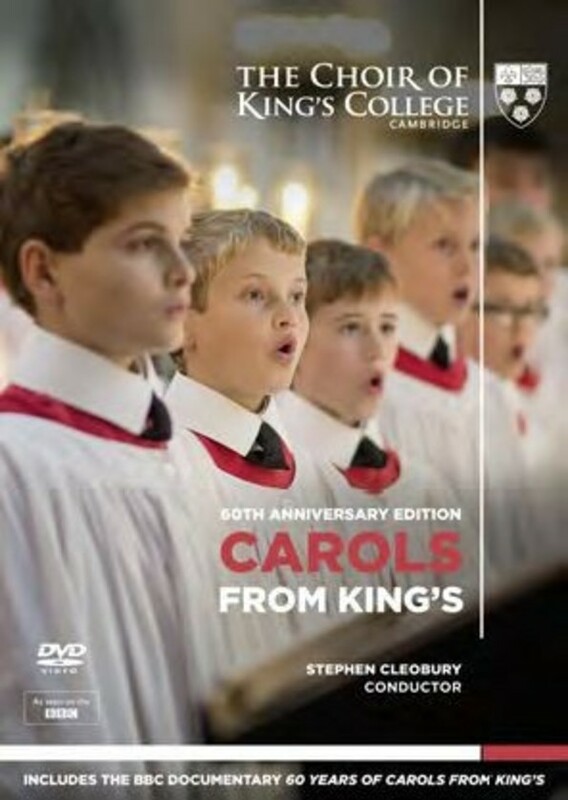 This special edition includes '60 Years of Carols from King’s', a BBC documentary narrated by Juliet Stevenson, which charts the history of the service since 1954. The film gives an insight into the tradition of selecting the soloists for 'Once in Royal David’s City', what goes on behind the scenes, what life is like for a chorister in the Choir and the impact these experiences have on generations of choristers.